Notes: Architects: Memorial Hall/Art Gallery -- H.J. Schwarzmann; Machinery Hall -- Henry Pettit & Joseph M. Wilson; Main Exhibition Building -- Henry Pettit & Joseph M. Wilson. Notes: Date photo taken: [month?] 7, 1875. Notes: Overview of exhibition grounds from George's Hill during construction. 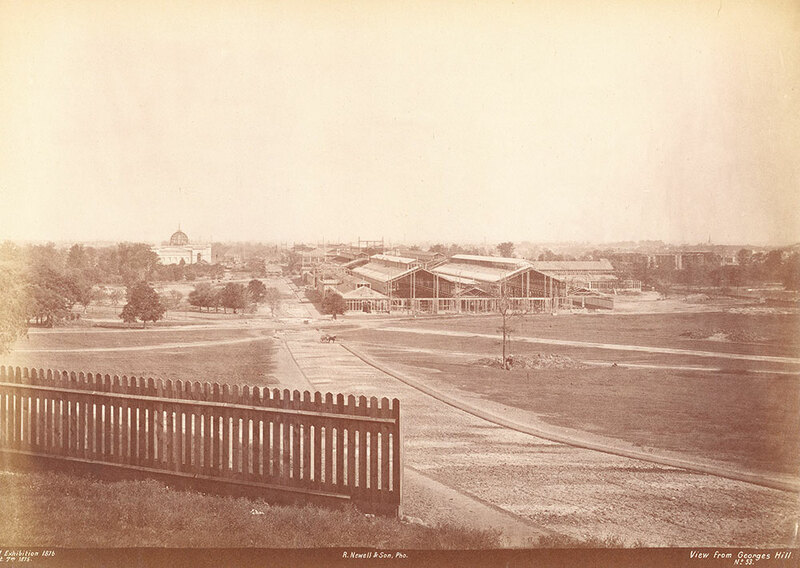 Visible are Memorial Hall, Machinery Hall, and the Main Exhibition Buildings.